I have an old reader set that I used when teaching my boys to read. 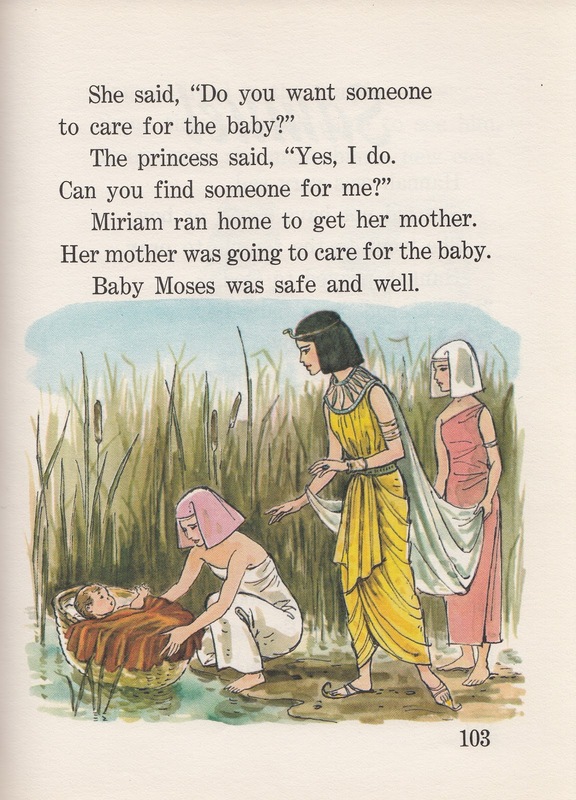 It's a very sweet set of Bible stories in reader primers. I've been going through them again with my girls and being reminded of such sweet memories of my little men and so very blessed to be able to share them with my little ladies. Tonight we were reading the story of baby Moses and the evil king who ordered the baby boys killed. Elaina listens intently wanting all the details. Victoria is content to just listen and see an occasional picture. Elaina was angry to hear of the bad king. 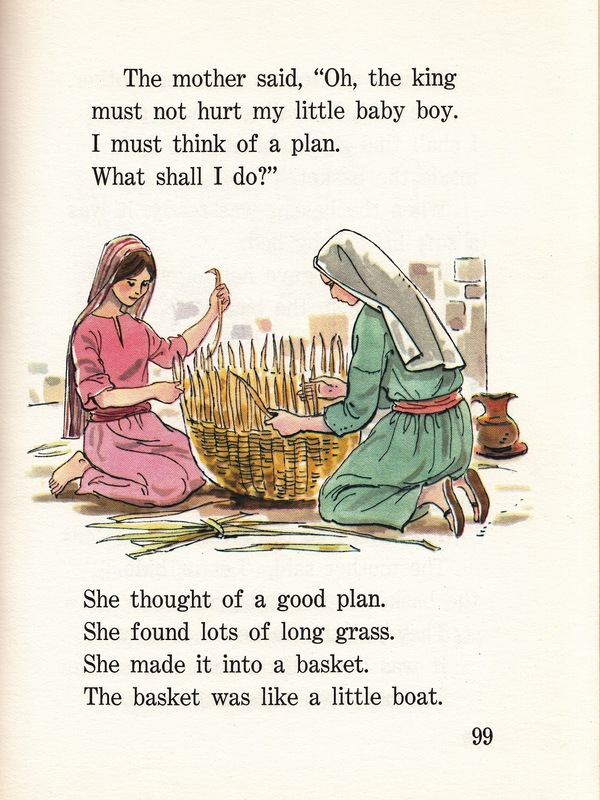 She listened carefully to the plan Moses' mother had to save her baby boy. 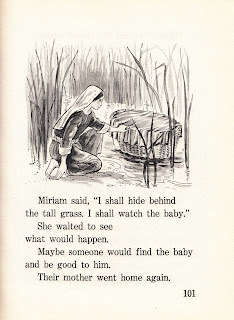 We continued reading how Miriam watched over her baby brother as he was placed into the water snug in his little boat. 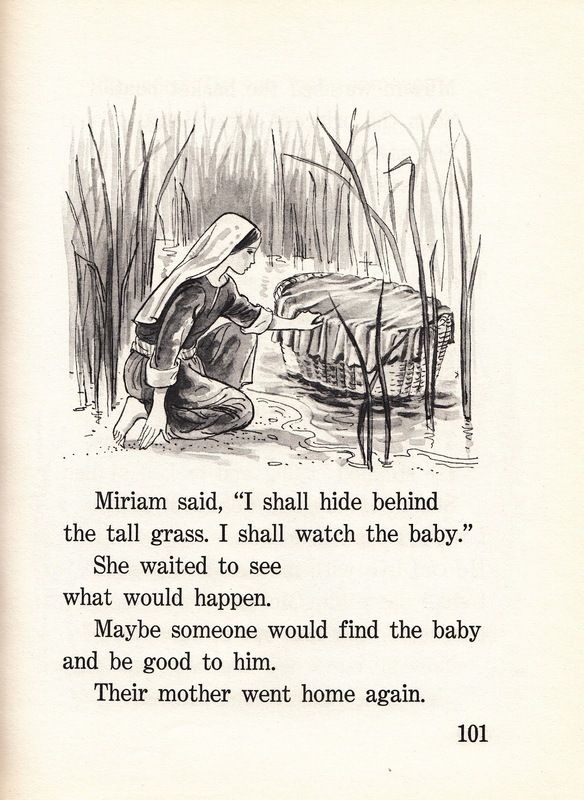 At first, Elaina was alarmed as the princess discovered the baby and was soon relieved to know the princess would love the baby and take care of him. It had not occurred to me until seeing Elaina's reactions to this story that she might relate to Moses! We frequently talk of her tummy mommy and her history before she came to be our sweet girl but tonight was different. She wanted more facts about how she came to the orphanage. How did Victoria come to the orphanage? Why can't we know their tummy mommies names? This time she cried heavy tears. Broken hearted, she realized that she will never feel her tummy mommy hold her again. She told me how she loves me but she still misses her tummy mommy. We talked about the great love both of their tummy mommies showed but placing their sweet baby girls in a place hoping that someone would find them and love them just as Moses' tummy mommy had. As always, we end our evening with a prayer after our story. Elaina has wondrous, mighty and sometimes humorous prayers but tonight she was without words. Only tears for what was lost. So we agreed that mommy would pray for her and all the little children and their tummy mommies and daddies who are brokenhearted because of bad kings. And I did. Won't you pray with us? I cannot tell you how very different it is to hear of the evils in this world that are forced onto innocent people and holding the results in your arms as they cry their sorrow filled tears!